It's with a heavy heart that I need to share some really sad "Batman News" that I'm sure many of you have already heard about but some of you might not know. George Barris, the Creator of the 1966 BATMAN TV Series Batmobile Car, passed away on November 5th, 2015. 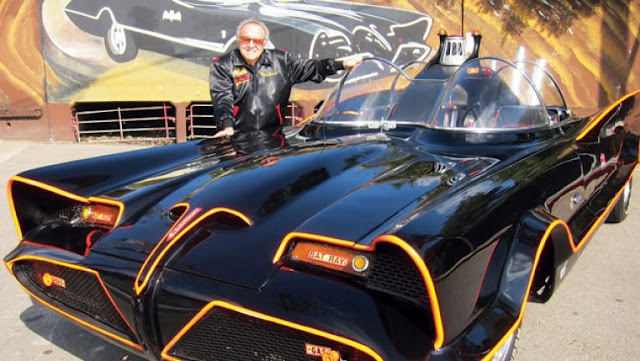 George Barris was known as the "King of Kustomers" and he not only created the Batmobile but he customized a lot of cars for other Movies, TV Shows, and Celebrities. Two quick examples that I can think of are the TV Monkeemobile (The Monkees) and the Munster Koach (TV's Munsters). Here's a video showing just a few of his other amazing cars. Wow, what a legacy!! 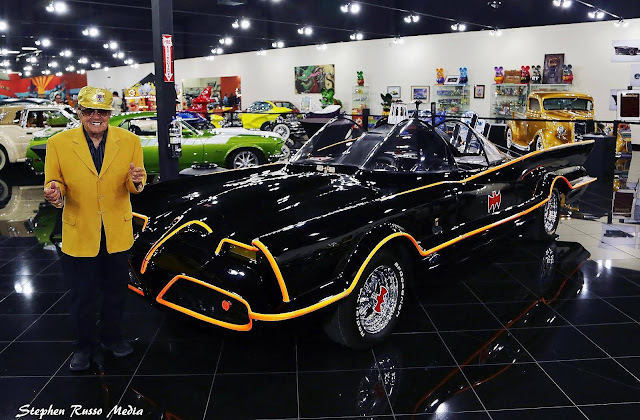 Back in 2013 Mr. Barris auctioned-off his famous #1 Batmobile that he made from a 1955 Lincoln Futura prototype car. It sold in the Barret Jackson Auction for 4.2 Million Dollars. 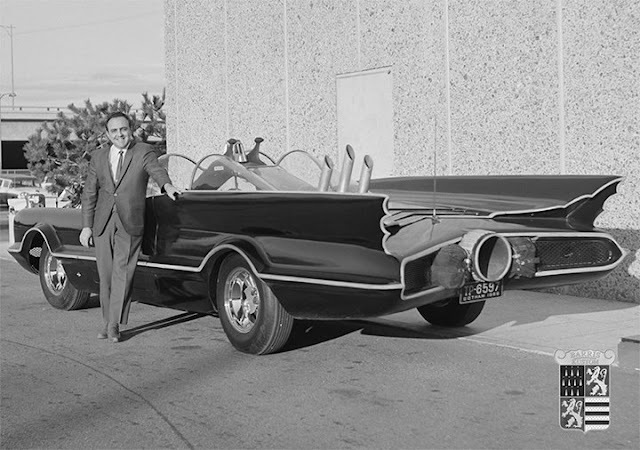 George Barris created one of the most iconic cars in the entire world. He will always live on as the creator of the greatest Batmobile made and we are all gonna miss him greatly. I kind of regret that I never got to meet the man in person. Here's a photo of him that was shot just a few months ago. I mean, probably on of the last pics ever. He was always so happy. In the many years that I have been writing the BAT-BLOG I have come across a ton of people who have all said they met him, at his shop or at a convention, and every single person I talked too all had the same story, "He was extremely down to earth, very generous with his time, and had a great sense of humor". It sounds to me that he loved his fans and was a really great guy. That is so cool. Thank you Mr. Barris, Rest in Peace Sir.